Stags came out in droves to celebrate the basketball season kick-off and fall concert with DNCE. On Friday, October 12, Fairfield University Student Association and Fairfield Athletics hosted the annual Red Sea Madness and fall concert in Alumni Hall. Red Sea Madness was an exciting night for Fairfield students, especially for our Men’s and Women’s Basketball teams who officially kicked off their seasons. Stags in the stands of Alumni Hall cheered on the basketball teams with the help of an MC, a DJ, and Lucas the Stag. The cheer and dance teams entertained the crowd with routines, the men's and women's basketball teams engaged in a three-point throw contest, students participated in dance and relay competitions, t-shirts were thrown into the crowd by our athletes, and students tried their luck at the half-court shot challenge. Stags cheered on their fellow classmates during the dance contest as participants showcased some of their finest moves, including hip-hop and Irish step dancing. Of course, Red Sea Madness is not just a pep rally, but also Fairfield’s fall concert. This year, DNCE was the featured performer. 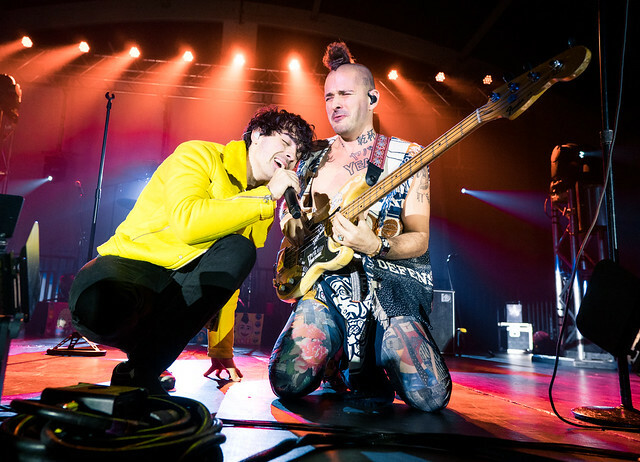 Students belted out the band’s hit singles “Cake by the Ocean” and “Toothbrush.” At the end of the night, DNCE extended their appreciation for the fans by speaking with students and taking photographs with them after the performance. "This year was my third Red Sea Madness with FUSA, and this is definitely the one I am most proud of. With change comes risk, but no matter what, I really think that this year captured the tone of what the Athletics and FUSA collaboration is meant to be. There was so much genuine excitement for each aspect of the night - from the basketball teams to the concert,” stated FUSA Director of Marketing for Jennie Toutoulis ’20.